Gustav Kobbé was an American music critic and author, best known for his guide to the operas, The Complete Opera Book, first published (posthumously) in the United States in 1919 and the United Kingdom in 1922. George Henry Hubert Lascelles, 7th Earl of Harewood,, styled The Hon. George Lascelles before 1929 and Viscount Lascelles between 1929 and 1947, was the elder son of the 6th Earl of Harewood and Princess Mary, Princess Royal, the only daughter of King George V and Queen Mary. At his birth, he was 6th in the line of succession; at his death, he was 46th. Lord Harewood was the eldest nephew of both King Edward VIII and King George VI and was a first cousin of Queen Elizabeth II. He succeeded to his father's earldom on 24 May 1947. Much of the additional material first appeared in a supplement or appendix to the main work. The last opera of the main text is the Goyescas of Enrique Granados, and the Supplement is still (in the English edition, p. 851 ff.) described as such in 1929, but in other editions called "Recent and Revised Operas." This continued to evolve, and incorporated additional material written by Ferruccio Bonavia (signed F.B.). The earlier supplement included works by Maeterlinck, Reginald de Koven, Ravel, Henry Hadley, Andre Messager, Holst, Rutland Boughton, Ethel Smyth, Rimsky-Korsakov, Mussorgsky and Stravinsky, and Mozart's Il Seraglio , occupying pp. 851–901. After 1929 it was enlarged to include Verdi's Simone Boccanegra , Boito's Nerone , Alban Berg's Wozzeck , Puccini's Turandot , Rossini's La Cenerentola , Mozart's Così fan tutte , Jaromir Weinberger's Schwanda the Bagpiper and Vaughan Williams's Hugh the Drover (pp. 901–930). The English 1935 imprint included Bonavia's notes on Rossini's L'Italiana in Algeri , Rimsky-Korsakov's Snegourochka and two operas of Ildebrando Pizzetti: parts of the former supplement had by now been incorporated into the main text, and the overall page-count before index was now 945 pages. Goyescas, Op. 11, subtitled Los majos enamorados, is a piano suite written in 1911 by Spanish composer Enrique Granados. This piano suite is usually considered Granados's crowning creation and was inspired by the paintings of Francisco Goya, although the piano pieces have not been authoritatively associated with any particular paintings. The suite forms part of the standard Romantic piano repertoire. 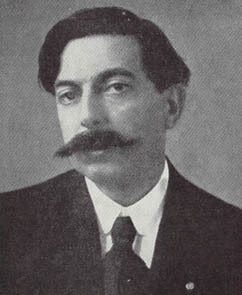 Enrique Granados Campiña was a Spanish pianist and composer of classical music. His music is in a uniquely Spanish style and, as such, is representative of musical nationalism. 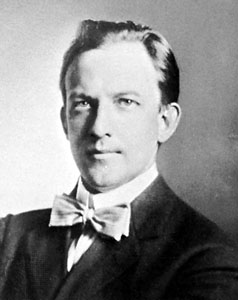 Henry Kimball Hadley was an American composer and conductor. The pre–World War II editions were enriched by a superb series of sixty-four photographs of singers in operatic roles. In general these did not change, though the frontispiece of Nellie Melba as Juliet was substituted by an engraved bust of Jenny Lind in other editions. The illustrations reflected exactly the singers of Kobbé's time, (including Winckelmann and Materna in the first Parsifal ), and many of the famous international artists who sang at the Met from the 1890s to around 1920. They are typically the singers of the acoustic (i.e. pre electric-microphone) recording period c.1898-1925, so that the book remained popular with collectors of operatic 78 rpm records well after the real-life careers of these singers had been superseded by others. Hence in early editions the illustrations are listed in the sequence in which they appear, following the operas, but in later editions the illustrations table is alphabetical by singer. Parsifal is an opera in three acts by German composer Richard Wagner. It is loosely based on Parzival by Wolfram von Eschenbach, a 13th-century epic poem of the Arthurian knight Parzival (Percival) and his quest for the Holy Grail. Pietro Antonio Stefano Mascagni was an Italian composer best known for his operas, such as his 1890 masterpiece Cavalleria Rusticana which caused one of the greatest sensations in opera history and single-handedly ushered in the Verismo movement in Italian dramatic music. While it was often held that Mascagni, like Ruggiero Leoncavallo, was a "one-opera man" who could never repeat his first success, L'amico Fritz and Iris have remained in the repertoire in Europe since their premieres. Mascagni said that at one point, Iris was performed in Italy more often than Cavalleria. Harold David Rosenthal OBE was an English music critic, writer, lecturer, and broadcaster about opera. 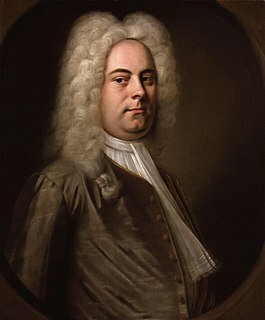 Originally a schoolmaster, he became drawn to music, particularly opera, and began working on musical publications. On the foundation of Opera magazine in London in 1950, Rosenthal was assistant editor, and became editor in 1953, retaining the post until 1986. Nikolai Andreyevich Rimsky-Korsakov was a Russian composer, and a member of the group of composers known as The Five. He was a master of orchestration. His best-known orchestral compositions—Capriccio Espagnol, the Russian Easter Festival Overture, and the symphonic suite Scheherazade—are staples of the classical music repertoire, along with suites and excerpts from some of his 15 operas. Scheherazade is an example of his frequent use of fairy tale and folk subjects. Mefistofele is an opera in a prologue, four acts and an epilogue, the only completed opera with music by the Italian composer-librettist Arrigo Boito. The opera was given its premiere on 5 March 1868 at La Scala, Milan, under the baton of the composer, despite his lack of experience and skill as a conductor. Sadko is an opera in seven scenes by Nikolai Rimsky-Korsakov. The libretto was written by the composer, with assistance from Vladimir Belsky, Vladimir Stasov, and others. Rimsky-Korsakov was first inspired by the bylina of Sadko in 1867, when he completed a tone poem on the subject, his Op. 5. After finishing his second revision of this work in 1891, he decided to turn it into a dramatic work. The Stone Guest is an opera in three acts by Alexander Dargomyzhsky from a libretto taken almost verbatim from Alexander Pushkin's play of the same name which had been written in blank verse and which forms part of his collection Little Tragedies. Mozart and Salieri is a one-act opera in two scenes by Nikolai Rimsky-Korsakov, written in 1897 to a Russian libretto taken almost verbatim from Alexander Pushkin's 1830 verse drama of the same name. Tamerlano is an opera seria in three acts written for the Royal Academy of Music theatre company, with music by George Frideric Handel to an Italian text by Nicola Francesco Haym, adapted from Agostin Piovene's Tamerlano together with another libretto entitled Bajazet after Nicolas Pradon's Tamerlan, ou La Mort de Bajazet. Mark Osipovich Reizen, also Reisen or Reyzen, PAU, was a leading Soviet opera singer with a beautiful and expansive bass voice. Kashchey the Deathless, a.k.a.Kashchey the Immortal, is a one-act opera in three scenes by Nikolai Rimsky-Korsakov. The libretto was written by the composer, and is based on a Russian fairy tale about Koschei the Deathless, an evil, ugly old wizard, who menaced principally young women. A similar fairy tale was also used by Igor Stravinsky and Michel Fokine to create their iconic ballet, The Firebird. The Noblewoman Vera Sheloga is an opera in one act by Nikolai Rimsky-Korsakov. Rimsky-Korsakov wrote the libretto, which he based on the first act of the play "The Maid of Pskov" by Lev Alexandrovich Mey. The opera was composed in 1898 from material omitted from the second version of Rimsky-Korsakov's setting of the play as an opera. The first and third versions of the opera "The Maid of Pskov" omit the first act of the play. In mid- to late-19th-century Russia, Pyotr Ilyich Tchaikovsky and a group of composers known as The Five had differing opinions as to whether Russian classical music should be composed following Western or native practices. Tchaikovsky wanted to write professional compositions of such quality that they would stand up to Western scrutiny and thus transcend national barriers, yet remain distinctively Russian in melody, rhythm and other compositional characteristics. The Five, made up of composers Mily Balakirev, Alexander Borodin, César Cui, Modest Mussorgsky, and Nikolai Rimsky-Korsakov, sought to produce a specifically Russian kind of art music, rather than one that imitated older European music or relied on European-style conservatory training. While Tchaikovsky himself used folk songs in some of his works, for the most part he tried to follow Western practices of composition, especially in terms of tonality and tonal progression. Also, unlike Tchaikovsky, none of The Five were academically trained in composition; in fact, their leader, Balakirev, considered academicism a threat to musical imagination. Along with critic Vladimir Stasov, who supported The Five, Balakirev attacked relentlessly both the Saint Petersburg Conservatory, from which Tchaikovsky had graduated, and its founder Anton Rubinstein, orally and in print. Antar is a composition for symphony orchestra in four movements by the Russian composer Nikolai Rimsky-Korsakov. He wrote the piece in 1868 but revised it in 1875 and 1891. He initially called the work his Second Symphony. He later reconsidered and called it a symphonic suite. It was first performed in 1869 at a concert of the Russian Musical Society. Nadezhda Nikolayevna Rimskaya-Korsakova (Russian: Надежда Николаевна Римская-Корсакова née Purgold was a Russian pianist and composer as well as the wife of composer Nikolai Rimsky-Korsakov. She was also the mother of Russian musicologist Andrey Rimsky-Korsakov. Sadko, Op. 5, is a "musical tableau" by Nikolai Rimsky-Korsakov, written in 1867 and revised in 1869 and 1892. It is sometimes called the first symphonic poem written in Russia. It was first performed in 1867 at a concert of the Russian Musical Society (RMS), conducted by Mily Balakirev. Rimsky-Korsakov later wrote an opera of the same name which quotes freely from the earlier work. 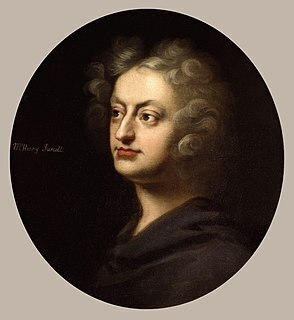 From the tone poem the composer quoted its most memorable passages in the opera, including the opening theme of the swelling sea, and other themes as leitmotives - he himself set out to "utilize for this opera the material of my symphonic poem, and, in any event, to make use of its motives as leading motives for the opera". Michael Shmith is an Australian journalist and writer. Antony Peattie is a British music writer. 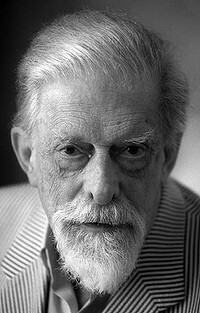 He co-edited the 1997 revision of The New Kobbé's Opera Book, with Lord Harewood.